If we do believe this study than it’s pretty amazing that more than half of Americans have seen a phenomenon, but we still, collectively, say that it’s a childish or igannant thing to believe in. I couldn’t tell you what the phenomenon actually is, but it’s safe to say that it happens. Sixty percent is a huge number. What percentage of Americans have seen my home state of Rhode Island? Less than 60% I’d wager, yet it’s a fairly well accepted fact that we exist. At the very least more than ghosts. I've never really seen a ghost. Seen a lot of other weird crap but no ghosts as far as I know. I guess it would depend on how you describe what a ghost is. I've seen shadow people and animals. I've seen things that shouldn't have been where they were and other that wasn't where it should have been. I've seen things that disappeared as soon as I saw them. I've seen glowing blue eyeballs that rose up from behind a tombstone and scared the crap out of me. Never seen a ghost though. Maybe I'm not looking hard enough. and it takes less than five seconds for people to become frightened when entering a haunted house. 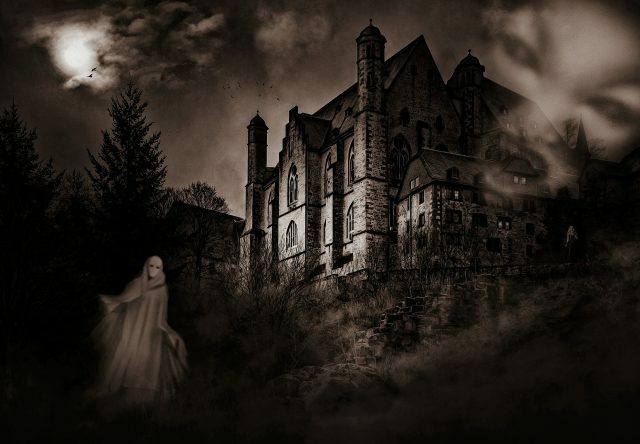 Is this TRUE, when no one has postulated that the particular house is haunted? In other words, can the average human NOW walk into a home and “sense” that something isn’t “quite right”? (This would be an interesting statistic IMO). The perspective changes when you add “aliens” hiding around your house. 100% of me has seen a ghost. I've seen several of them. I'm always out looking for the next one tho. All those other people who see them should point them in m y direction.